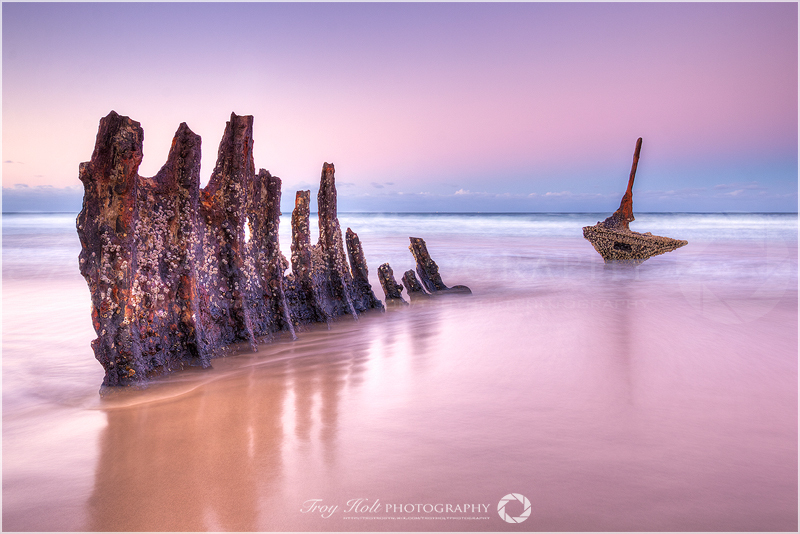 I first photographed the famous SS Dicky shipwreck way back in 2008, back then the wreck was a beauty, both sides of the damaged wreck were still intact -the challenge back then about was being on location at the right time and during the right tide; and if you wanted to capture a great image being the first and the only photographer there was equality important. My early visits didn’t yield many good images, but we did have a lot fun with a night shoot and some sparklers. 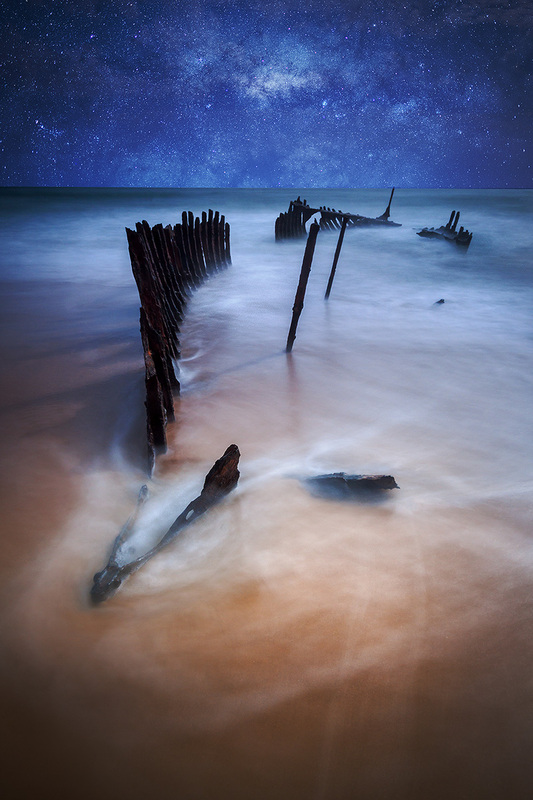 Over the next few years I would visit the wreck once every few months, striving to capture that special image –in the back of my mind I was fearing the day when the wreck would be gone forever. 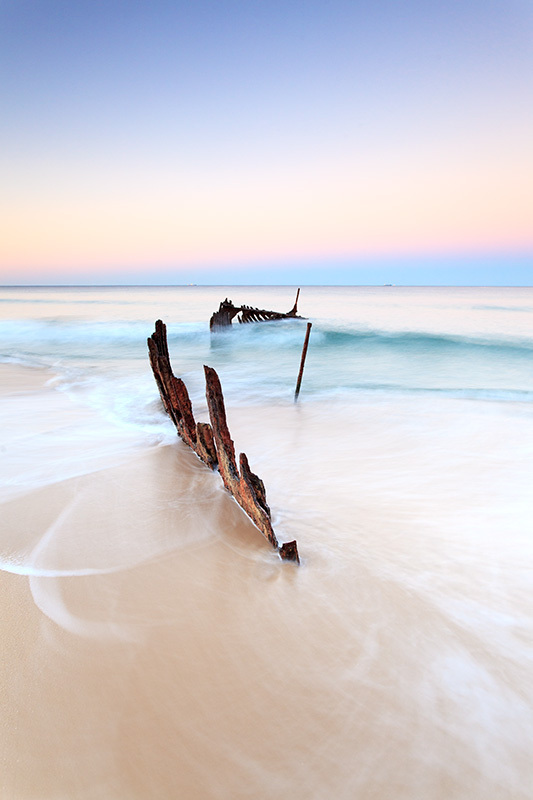 There have been many stories suggesting the Sunshine Coast council would remove the wreck entirely as a matter of public safety. Photographers from all corners of Queensland would have heard these stories and like me they made sure to visit often. In mid 2010 I was lucky enough to capture a partial lunar eclipse (moon rise at dusk -which coincided with a striking sunset). 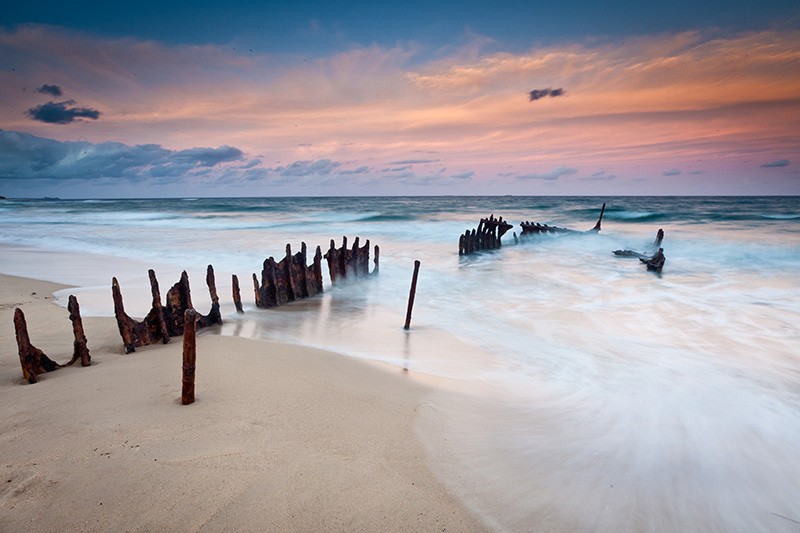 I was on the beach shooting the wreck with probably 20 other photographers and I'd say another 30/40 members of the general pubic, that was a special moment. 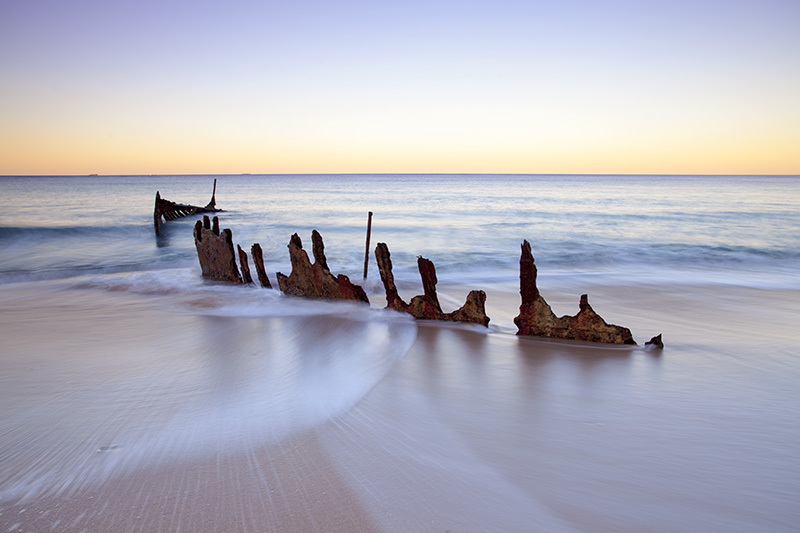 Time marched on, and by the end of 2010 the whole right side of the wreck was gone –washed away by wild weather and storms. 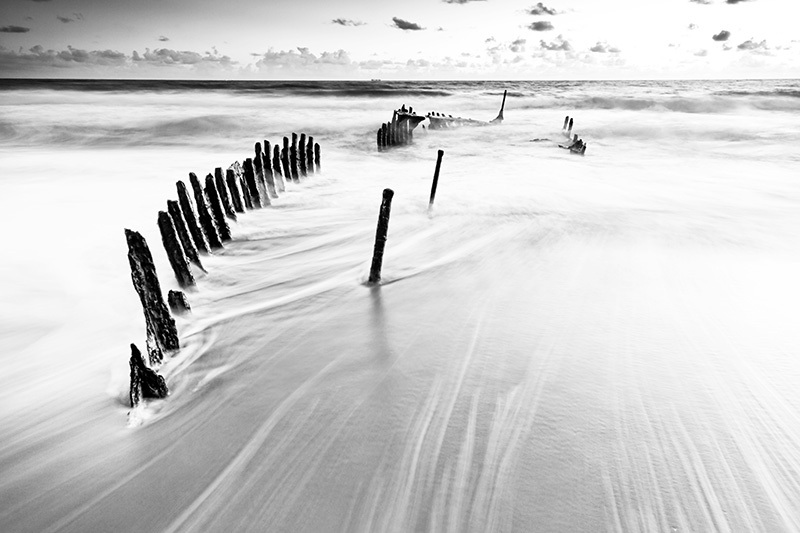 During 2011 and early 2012 I’d began to lose interest in shooting the SS Dicky, so I stayed away and watched other photographers share their images on Facebook and Flickr, however deep down I knew I was still missing that winning shot. 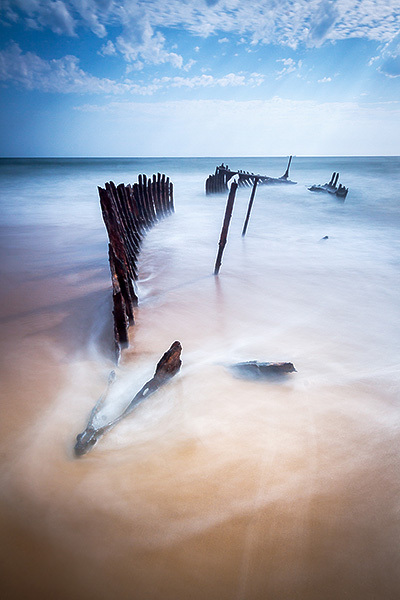 Towards the end of 2012 it was becoming very clear the wreck had undergone a lot of change. "I didn’t think it’d ever disappear but I kind of knew that it’d always change. I guess, one day it will disappear, which will be a massive change"
A large portion of the front left section is now gone, gradually washed away by the "Weathering Change". Some might disagree but this not entirely a bad thing, because our images date, and capturing/documenting change is a major aspect of photography. I see my role as a story teller, through my images I'm a telling a story and documenting a small slice of Queensland history for generations to follow. Please send me your images and SS Dicky stories. Images will be added to the The SS Dicky "Look Back" galley, so please provide me with a brief story and also the year/month for each image you submit. Images need to be no larger than 800px at the long edge. Please submit a short title and description. Send me your images today to have them added to the tribute gallery. 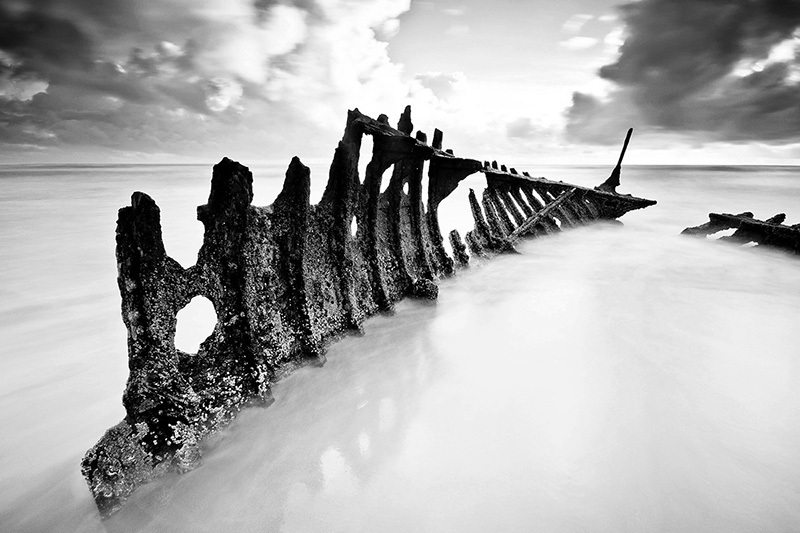 The SS Dicky ran aground over 100 years ago, and the wreck has seen some dramatic change over this time, below are some links to separate galleries of images submitted and photographers and catalogued by me. I need your images to help build this tribute page, please send me your images. 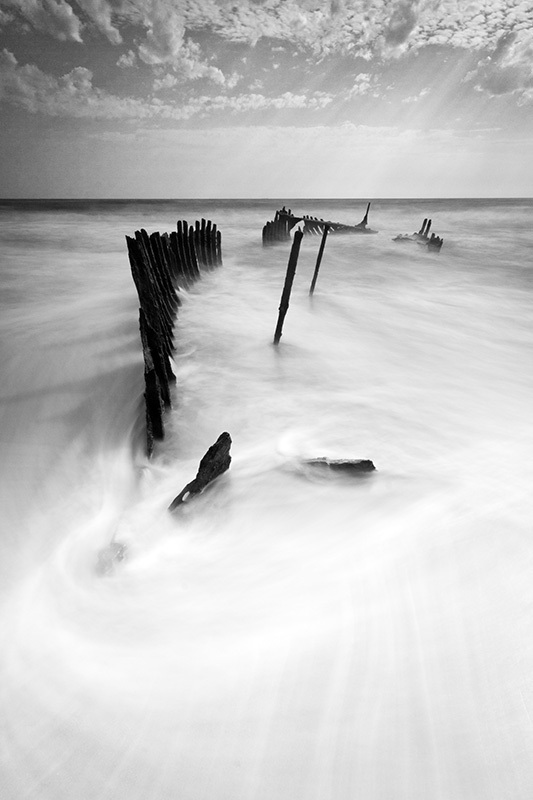 A few selected images from my trips to the SS Dicky. Some of these images are outtakes and others are form my collection of published works. 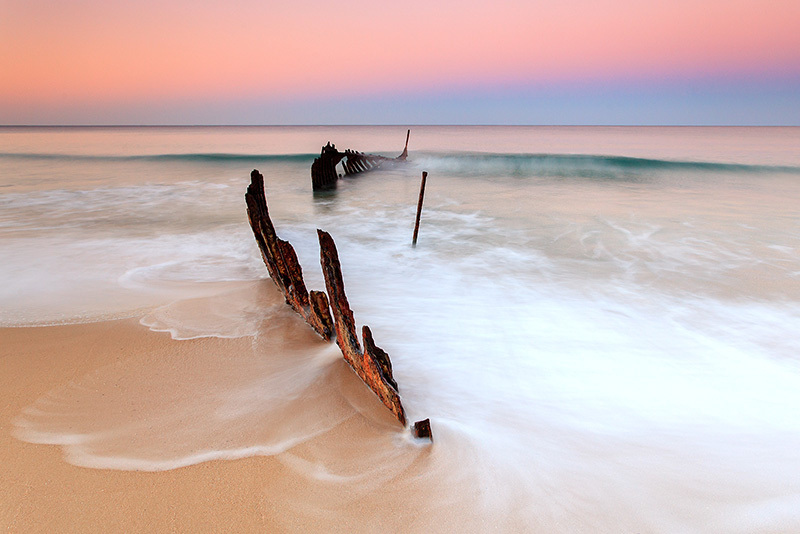 Garry Schlatter has contributed a great guide on photographing the SS dicky. Follow this link.